The ARCS Light Award is a distinctive honor awarded to a member who has given the highest quality of long-term service to ARCS Foundation. One ARCS Light may be chosen by her Chapter each year, though there is no requirement that the award be given every year. The ARCS Light is honored at the Chapter’s annual meeting and at the ARCS Foundation National Annual Meeting. A candidate for the ARCS Light Award must have been an active member for at least three years, have served on a variety of committees as well as on the Chapter Board, have given continuous service that has had a positive impact on the ARCS Foundation, have demonstrated a willingness to serve, have respect for ARCS Foundation leadership and membership, and be an exemplary representative of ARCS Foundation to her fellow members and to the community. Missy, a life-long resident of Pittsburgh, presently serves on a number of boards of non-profit organizations in the area, hoping to give back to Pittsburgh a small fraction of what it has given her. She joined ARCS in 2009 and a year later became a member of the ARCS Pittsburgh board. She has since served the Pittsburgh Chapter as Director of Finance, President Elect, President and Chair of the Fund Development Committee. As President, she served on the National Board for three years. Her chief interests on the ARCS board are governance and finance. Missy’s deep skills in these areas and her unflappable style strengthened the excellence of our Chapter. In addition, she has thoroughly enjoyed getting to know our wonderful scholars. Her other non-profit service has involved numerous, varied but interesting organizations ranging from a horticultural conservatory to a nursing home to two cemeteries. She has held leadership roles on all of these, and she is incredibly grateful to the wonderful employees and volunteers that she has worked with. So as not to ignore the for-profit world, Missy also sits on the board of Smithfield Trust Company, a Pennsylvania chartered trust company with the purpose of providing personal trust and asset management services. Before becoming a full-time volunteer, Missy worked in several different fields including finance, education, software development and computer consulting. She has taught mathematics and computer science to every age group from kindergarten through college. She was a systems analyst at Citibank in the mid 1960's, working with punched card input on an IBM 360 machine. At Mellon Bank and Rockwell Corporation she worked in corporate lending and other financial areas. She left the world of major corporations in 1981 to start her own computer consulting business and managed this until her retirement several years ago. Missy holds a bachelor's degree in Mathematics from Mills College in Oakland, California, where she was elected to Phi Beta Kappa. She received her master’s degree in Mathematics from Carnegie Mellon University (one of ARCS’s partner universities) and spent a year studying at the University of Vienna in Austria. She lives with her husband, John, who is a lawyer, now also retired. They have one daughter, Rachel, who currently lives in New York City working for the International Rescue Committee, an NGO that serves refugees world-wide and that has taken Rachel to many lands including Iraq and Sierra Leone during the Ebola crisis. Congratulations Missy for this well-deserved ARCS recognition. Congratulations to Janet Wood, awardee of the 2015 ARCS Light Award for outstanding volunteer service and dedication to ARCS for more than eight years. A Cornell University graduate with an MBA from the University of Pittsburgh Business School, Janet has been a quiet and effective presence with ARCS for the last eight years. She served on the Program Committee with Charlotte Beukema and then chaired it herself for two years. She co-chaired the Nominating Committee for two years with Carol Heppner, and recently co-chaired Fund Development with Kathy Testoni. Above all, Janet has sponsored an ARCS scholar, with two other members, for the last three years. Janet had served in the non-profit world even before she learned about ARCS. 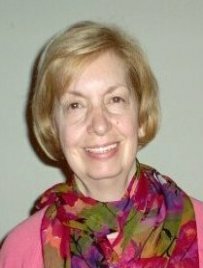 President of the Board of the former Jane Holmes Residence for the elderly, she has also been active with the Shadyside Presbyterian Church. Mission trips to the “Holy Land,” between the Jordan River and the Mediterranean Sea, and to China have highlighted her church service. Currently living in Pittsburgh’s East End, Janet is married to Ed Wood, a former attorney. They have three daughters scattered on both coasts, as well as two energetic young grandsons. Janet and Ed travel frequently to see family and friends, domestically as well as abroad. Yet Janet remains prompt, responsive and generous with her time toward ARCS. She richly deserves this year’s Light Award. A member of ARCS Pittsburgh since 2007, Carol will finish her sixth year on the board this year. She was Chapter President for two years, and has also served as Communications Co-chair and Fund Development Chair. Currently, she and her husband, Paul, are financially supporting their third ARCS scholar. Carol has also served on the National ARCS Board as Chair of Evaluation. Boasting a PhD in economics from the Univeristy of Pittsburgh, Carol is an adjunct faculty member at California University of Pennsylvania. Congratulations Carol! Charlotte is a charter member of ARCS Pittsburgh. She served on the Program Committee for eight years as a committee member, Chair, and Co-Chair. She served on the Nominating Committee in 2011/2012. Charlotte and her husband, Henry, are sharing sponsorship of their second scholar award that begins this year. 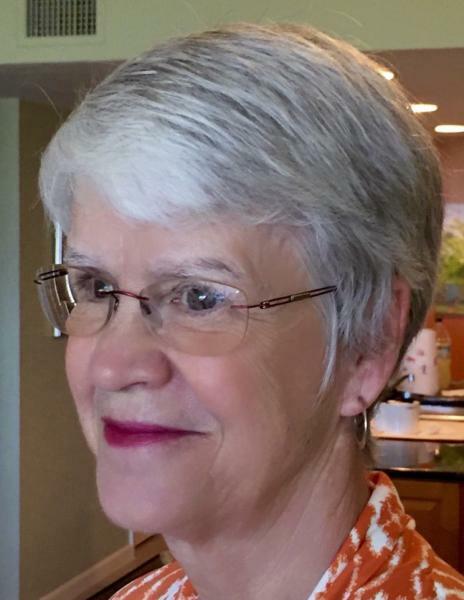 She is a member of Shadyside Presbyterian Church where she has served as a Deacon, Elder, Co-Chair of the recent Capital Campaign, Pastor Nominating Committee and Mission Committee Chair of Community Partnerships. Charlotte graduated from Penn State University with a Bachelor of Science degree. She worked at Kaufmann's Department Store for thirty years where she was a Buyer, Merchandise Manager, and Divisional Vice President. She enjoys Ikebana flower arranging and is a member of the Ichiyo School. She is also a member of the Perennial Garden Club, where she has served as President, Program Chair, and Co-Chair. Charlotte is honored to receive the ARCS Light Award, and is so proud to be a part of this organization that is helping scholars advance science a CMU, Pitt and Penn State, as well as nationally. Kathy Testoni has been actively involved as a volunteer in the Pittsburgh community for over 25 years, including several roles serving as a Member on Not-for-Profit Boards of Directors. She became a member of the Pittsburgh Chapter of ARCS Foundation in 2004, and has been serving as a Board Member since 2007. ARCS has become one of her most passionate causes because she believes in the importance and impact the ARCS mission has on the future prospects of sciences in the United States. In addition to participating as an active member on many ARCS Committees, she has held several committee leadership roles, including having co-chaired Membership, co-chaired Nominating, and for the past two years has been the Director of Student Relations, coordinating the Chapter’s interaction with ARCS Scholars from the University of Pittsburgh, Carnegie Mellon University and Pennsylvania State University. As the Co-Chair of the ARCS Membership Committee, Kathy and her co-chair designed, organized and collaborated on a innovative approach to attracting new members to ARCS, which resulted in a record number of new members during that two-year membership campaign. Kathy’s other current Board positions include the Pittsburgh History and Landmarks Foundation, the National Aviary, the Pittsburgh Botanic Garden, and the National Alliance for Mental Illness (NAMI). Past boards on which she has served include the Window Box Garden Club and the Garden Club of Allegheny County (GCAC). Kathy appreciates the fact that the foundation for being an effective Board member comes from having first spent many hours as a volunteer, and understands that the roles of an effective Board member demands equal parts of contributing her observations, ideas and talents to enhance the success of an organization, along with passionate and tireless volunteer participation in those activities critical to help the organization execute its fundraising responsibilities and mission. Mille became a member of the Pittsburgh Chapter in 2004 after moving with her husband, Gary, from New Orleans to Pittsburgh. She has served as Membership Co-Chair and Chair, Nominating Co-Chair and Chair, and University Relations Chair. Millie has also served on the Program, Fund Development, and Planning and Evaluation Committees. While raising two children, Gretchen and Jonathan, Millie’s community initiatives and leadership roles included co-founding a parenting center and a performing arts society in the New Orleans area and serving as President of the League of Women Voters and President of the Junior League in Louisiana. Most recently, she has served for six years on her college alumni board and as President of the Pittsburgh Symphony Association. Millie’s undergraduate degree is in psychology from Elmira College, and her graduate degree is in university counseling and administration from The George Washington University. She began her career as an administrator in the Office of Student Affairs at The American University in Washington, DC. Currently, Millie is on staff as a museum educator at The Frick Art and Historical Center. Her recognitions include The American University Distinguished Staff Award and the Junior League of Pittsburgh Distinguished Service Award. Cecile is a charter member of the Pittsburgh Chapter. She has been an active, enthusiastic member of ARCS and has served on the Board as Nominating Chair, Planning and Evaluation Chair, Vice President, and University Relations Chair. In her latest responsibility as UR Chair and as an Emerita member of the Penn State University Board of Trustees, she was instrumental in establishing a new partnership for the Chapter with the University. Currently, Cecile is President of Springer Associates, an innovative organization that provides comprehensive, cost-effective consulting services to corporate and philanthropic programs in institutional development. Previously she was director of Contributions and Community Affairs at Westinghouse Electric Corporation where she also served as president of the Westinghouse Foundation. Early in hr career, she was a research chemist for Bristol Myers Laboratory and for Schering Pharmaceuticals where her research focused on product development and the invention of new pharmaceuticals. Over her career, Cecile has devoted many hours to civic and community involvement, some of which include: Chair, Women and Girls Foundation of SW Pennsylvania; Board of Trustees of the Carnegie Museum of Natural History; Board of Directors of Equimark Corporation and Equibank; City Theatre Company; the Pittsburgh Dance Council; the Historical Society of Western Pennsylvania; Rivers Club; and the Carnegie Library of Pittsburgh. Recently, she was Co-Chair of the Race and Reconciliation Dialogue Group, St. Paul Cathedral, that is the sponsor of the Studying the Quran Course. 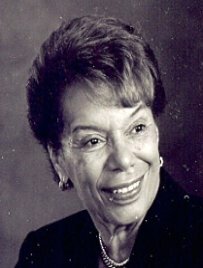 Cecile has been recognized and received many awards: Public Citizen of the Year by the SW PA Division of the National Association of Social Workers; Distinguished Daughter of the Commonwealth of Pennsylvania; Professional Excellence award from the Hispanic Society of Engineers and Scientists; YWCA Tribute to Women in Business and Industry Honoree; Carlow University Woman of Spirit; University of Pittsburgh Legacy Laureate; and, New Pittsburgh Courier Woman of Excellence. Cecile earned a bachelor’s degree in chemistry from Manhattanville College, a master’s in chemistry from Wellesley College, and a master’s degree in urban and regional planning from the University of Pittsburgh. In her spare time, she is an avid golfer, drives a jazzy, antique Mercedes convertible, and spends part of her time enjoying sunny weather at their home away from home in South Carolina. After fifteen years as Executive Director of Leadership Pittsburgh Inc. (LPI), Beth retired in December of 2004 to spend more time with her family. During her tenure, LPI transitioned from a program of the Greater Pittsburgh Chamber of Commerce to a non-for-profit 501c (3) organization with multiple programs to strengthen leadership in the SW PA region: Leadership Pittsburgh, Leadership Development Initiative, Leadership OnBoard, and Pittsburgh Champions. Following graduation from Hood College, Beth worked as a Community Organizer/Fund Raiser in the Community Campaign Division of the United Way of Allegheny County. She retired to be a full-time mom and an active volunteer in the community. Stepping back into the professional paid workforce, Beth became corporate treasurer and office manager in a small architectural firm. Being in the right place at the right time led to the position with LPI. Upon retirement from LPI, Beth became very active with the ARCS Foundation, specifically with the Pittsburgh Chapter as a Founding Member, Program Co-Chair and President. Currently she serves as Data Manager for the Pittsburgh Chapter and VP, New Chapter Development of the ARCS National Board. Current and past community activities include: Dollar Energy Fund Board of Directors; Three Rivers Arts Festival Advisory Board; Society for Contemporary Craft Board of Directors; Pittsburgh Dance Council Advisory Board; First Night Advisory Board; Big Brothers Big Sisters of Greater Pittsburgh Board of Directors; The Allegheny Regional Asset District Advisory Board; Sustainable Pittsburgh Diversity in Leadership Project Team; Allegheny County Appointments Advisory Group; Leadership Pennsylvania Board of Directors; National Foundation for Teaching Entrepreneurship Advisory Board; and Athena Awards Host Committee. 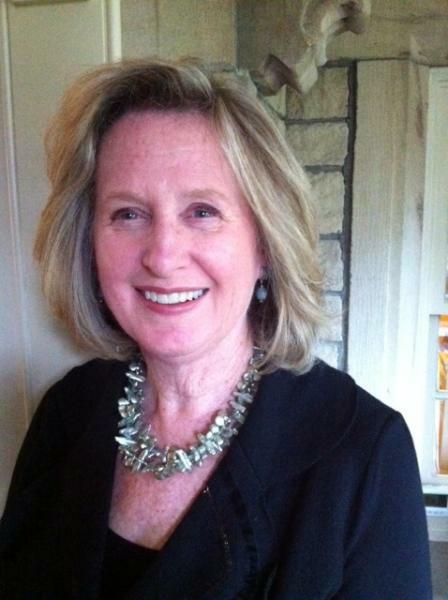 She is a founding member of The Pittsburgh Children’s Museum and a past president of the Junior League of Pittsburgh. In recognition of her involvement in the community, Beth received the Anne D. Johnston Award from the Junior League of Pittsburgh in 2002, and the Junior League of Pittsburgh’s 85th Anniversary Recognition Award in 2007. Beth’s greatest achievement is her two children, Richard Perkins who lives in Milford, CT with his wife, Allison and their daughter, Emma, and Sarah Perkins Stallings who lives in Pittsburgh with her husband, Stephen, and their two sons, Tyler and Henry. 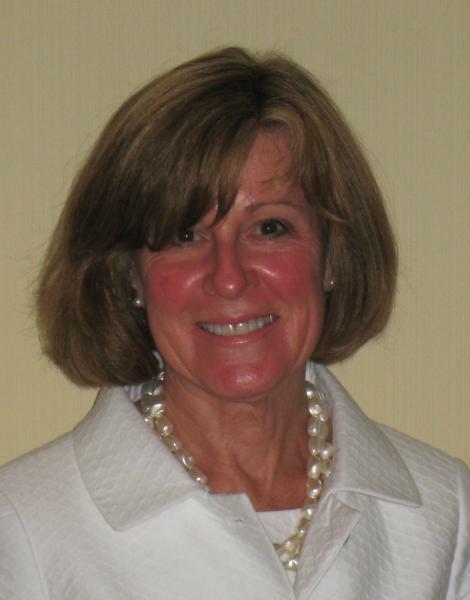 Mary Ann Templeton is a charter member of the Pittsburgh Chapter. She has served both as Assistant Treasurer and Treasurer. She has also participated in a number of Ad Hoc Committees: Web Site, University Relations, Policies & Procedures. Since moving back to Pittsburgh in 1994 when her husband, Lee, accepted a position there, Mary Ann’s other activities have included serving on the boards of the Pittsburgh Symphony Association, the University of Pittsburgh Alumnae Council, the College Club of Pittsburgh, and the Academy of Lifelong Learning at Carnegie Mellon University. As a city dweller, Mary Ann indulges her love of trees and gardens as the chairperson of the Grounds Committee of her condominium association. In addition to long walks with her Cairn Terrier, Dandy, she also enjoys museums, day trips, theater, and the occasional good mystery novel. A graduate of the University of Pittsburgh, Mary Ann has been especially pleased to see the Chapter grow quickly enough to add Pitt this year as our second recipient school. 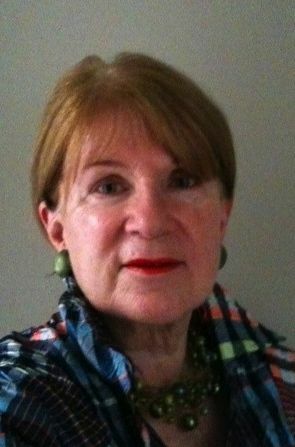 Carol was born in New York City, attended school in Westwood, New Jersey, received a Bachelor’s degree in French from Wilson College, in Chambersburg, PA and a Master’s degree in French Literature from Middlebury College, VT, after studying for a year at the Sorbonne in Paris. She taught French at Bennett College, Towson State, and The Friends School in Baltimore, where she also took coursework toward a Ph.D. Carol came to Pittsburgh with her husband Richard, in 1972, when he established his practice of cardiology. They have two sons, Richard, who graduated from Harvard Law School and is practicing Law in Pittsburgh, and Christopher, who received his Ph.D. from Stanford and is a consulting hydrogeologist in California. Christopher is the father of her only grandson. In Pittsburgh she taught at Shady Side Academy Senior School. 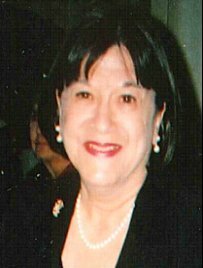 As a member of the Junior League, Carol served as secretary and vice-president, worked on numerous Show Houses, and was a founding member of the Pittsburgh Children’s Museum. She has been a long-time active volunteer on the Women’s Committee of the Carnegie Museum of Art, where she served as Treasurer, worked on several Decorative Arts Symposia, assisted in numerous Antique Shows, and helped decorate many Christmas trees. For Wilson College, she chaired the Annual Alumnae Fund, served for 11 years on the Board of Trustees and continues to be active in Wilson College Club of Pittsburgh. 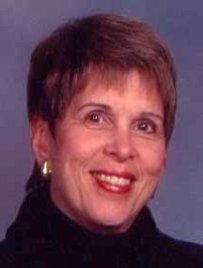 Carol was a founding member of the ARCS Pittsburgh Chapter and has served as chair of the Program Committee and the Membership committee, as well as participating in the Nominating and Communications Committees. She enjoys attending the University of Pittsburgh College of General Studies, where she has taken courses in geology, chemistry, world history, art, Italian, Spanish, music history and theory, religion, and more. She really loves the academic world, so encouraging and supporting the next generation of scientists through ARCS particularly appeals to her. Her leisure activities include traveling, antiques, and hiking. Jeanne Berdik has spent her career in non-profit leadership, coalition building, development of public-private partnerships for workforce development and education reform, program and financial planning and management, and volunteer recruitment, training and coordination. Jeanne is the National President of ARCS® Foundation, Inc., (Achievement Rewards for College Scientists) an organization dedicated to addressing the serious shortage of American scientists and engineers. She was the founder and President of the Pittsburgh Chapter of ARCS Foundation. 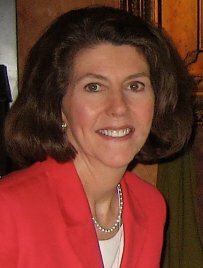 Jeanne currently serves as a member of the Board of Trustees of the Pittsburgh History and Landmarks Foundation and the Board of Directors of the Pittsburgh Botanic Garden. She is a member of the Women’s Committee of the Carnegie Museum of Art. She has served on the Boards of numerous local and national organizations, including the FISA Foundation, the YWCA of Greater Pittsburgh, the National Association of Partners in Education, the Junior League of Pittsburgh, and the Association of Junior Leagues International. She was a member of the founding committee of the Pittsburgh Children's Museum (recognized 25 years later as one of the nation’s best facilities of its kind) and subsequently served on its Board of Directors. She is a graduate of Leadership Pittsburgh Year I and a past member of that organization’s alumni Board of Directors. In her professional life, Jeanne spent her career building regional collaboration between business and education and establishing extensive working relationships in both the urban and rural settings of Southwestern Pennsylvania, most recently as the Vice President of Workforce Education and Development for the Pittsburgh Technology Council and Catalyst Connection. I truly want to thank all the donors who made the ARCS fellowship possible. This scholarship has given me the opportunity to travel to conferences to present my work and learn from colleagues. It has also allowed me to purchase laboratory equipment to help perform my work effectively and efficiently. Without ARCS, these tasks would have been extremely difficult, so I am very grateful for the excellent opportunity to be an ARCS scholar. ARCS Foundation has been a tremendous resource for me since arriving in Pittsburgh. The generous fellowship allows me to enhance my training and research by removing financial barriers to my ambitions. ARCS Foundation support has helped me establish unique connections to Pittsburgh and in the scientific community at large. Thank you for all you do. Words cannot describe how grateful I am for the generosity of each and every ARCS member. Your support has helped give me confidence as I start on the path to my Ph.D.